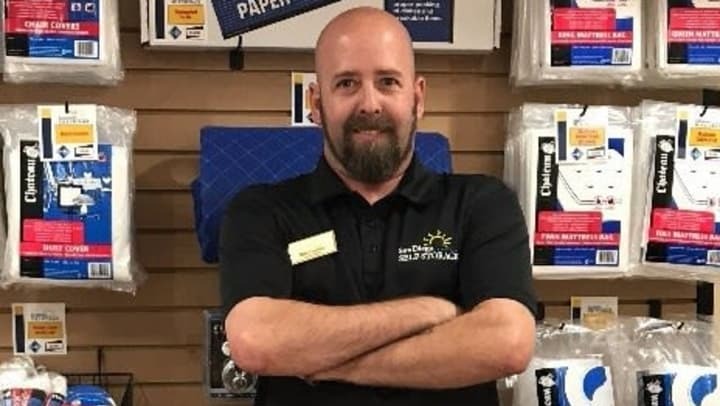 This month's "Getting To Know The Faces Behind The Counter" features Mike Fraustein, the manager at Olivenhain Self Storage. Mike is an incredibly outgoing, passionate and friendly individual. He grew up in Encinitas and loves serving the community he knows so well. Some of you may recognize Mike from Encinitas Self Storage, where he was a storage consultant before being promoted to manager at Olivenhain Self Storage.